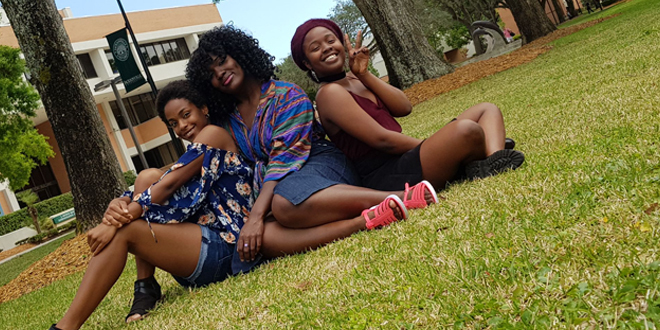 Tulsa-born Leonna Howard, a rising junior, is continuing her education with Jacksonville University with a double major in finance and accounting, but this is only a small part of her story. In January 2016, during a woman’s basketball game, Howard and her Christian-influenced dance crew, Shake Culture, introduced JU to a new style of dance performance. The inspiration behind the group’s formation, she says, came from her mother. After auditioning for the highly selective Jacksonville University Sirens, JU’s in-house limited-capacity dance team, she called her mother to tell her the news about not being selected for the team. “I didn’t think I would want to dance again, but I realized that I missed it and should keep doing it. My mom said, ‘Well then you better start your own thing.’” And so, Howard did.